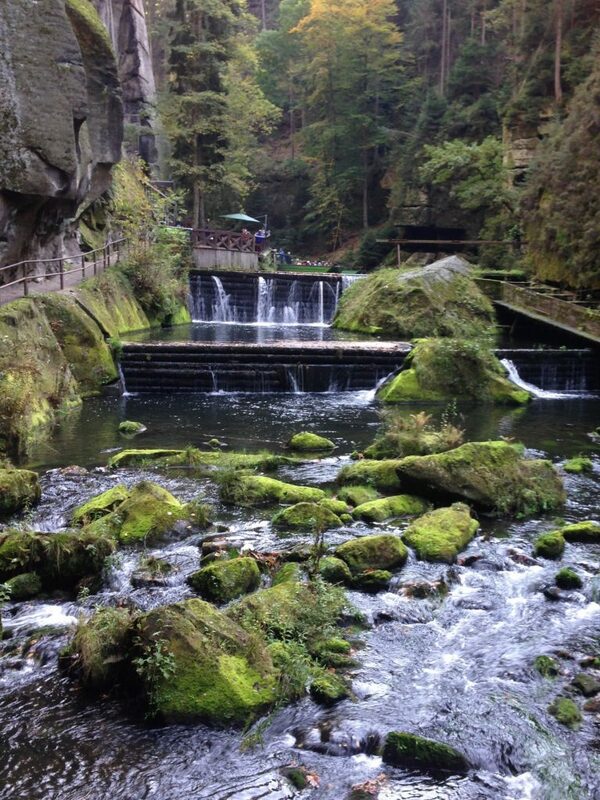 We travel north of the City of Prague. 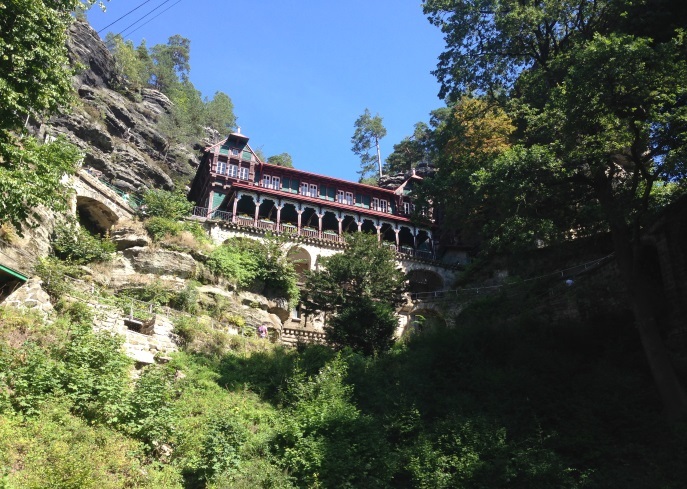 After a drive of about two hours, we reach our destination – Hřensko. There we park our minibus and go on foot to explore the wonders of Czech Switzerland. Depending on which tours will you take: In some parts of our hike, there’s a river to cross between rocks. We use a boat with a professional boatman for the crossing. After our excursion, we have about one hour for a late lunch or coffee in a local restaurant. Then we head back to Prague. This is a symbol of the Czech Switzerland National Park, which is located in northern Bohemia, near the village of Hřensko. Pravčická Gate is the largest natural rock arch in Europe, with the dimensions of 16 metres in height, 7-8 metres in width and an arch spanning 26.5 metres. People rightly say that it is the pearl of this attractive area. Pravčická Gate has attracted lovers of romantic natural surroundings for centuries. 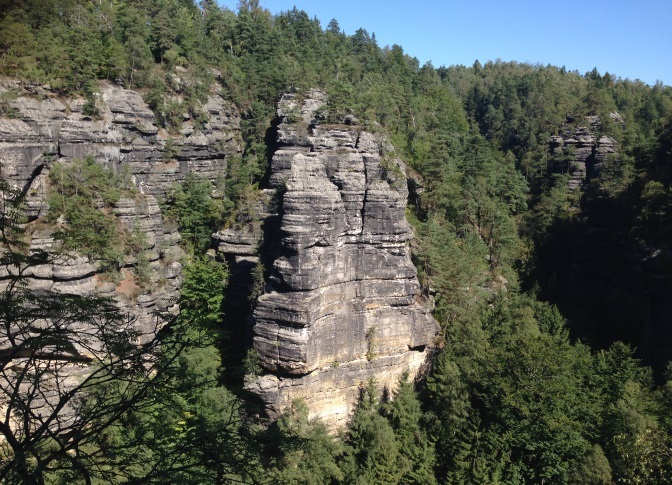 Near Pravčická Gate there are other beauty spots, each providing a stunning view of the Czech and Saxon Switzerland. An important part of Pravčická Gate is the Sokolí Hnízdo Chateau (Falcon’s Nest Chateau). The construction of this unusual Alpine-style building began in 1881 at the direction of the owner, Prince Edmund Clary-Aldringen. Sokolí Hnízdo was occupied a year later, its guests consisting of significant personages of the aristocracy. Today it houses a stylish restaurant with original walls and paintings, the Museum of the Czech Switzerland National Park and an Information Centre. In the first floor gallery, the photographs can be viewed by Julius Pufler – a great Nature lover and admirer of the local scenery. 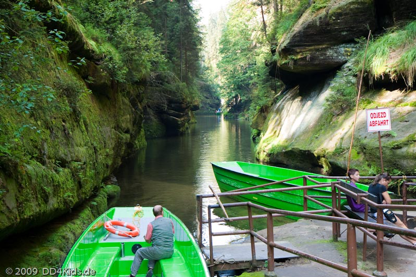 Edmund Gorge is one of the rocky canyons of the Kamenice river. We use a boat with a professional boatman for the crossing to see romantic and bizarre rock formations.